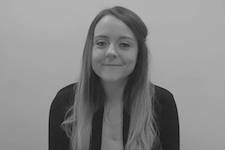 Lyndsay is a Senior Consultant and studied Law at University. She is an experienced recruiter having done recruitment in the commercial sector as well before moving into legal recruitment. She works with a range of regional and national firms, placing candidates in roles ranging from NQ Solicitors right through to Partner level. Lyndsay's legal knowledge and recruitment experience puts her in a great position to really understand clients and candidates needs, establishing long lasting relationships and matching the best talent to the best roles for the benefit of all parties. She really enjoys introducing great talent to great firms, thus enhancing both the candidate's and firms future growth.